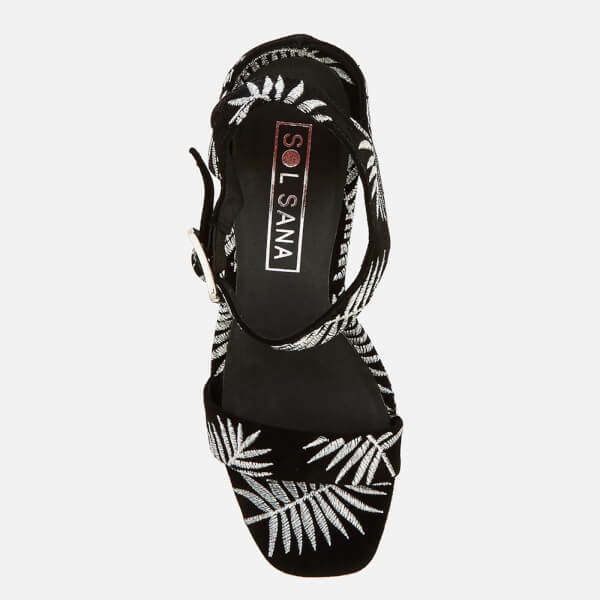 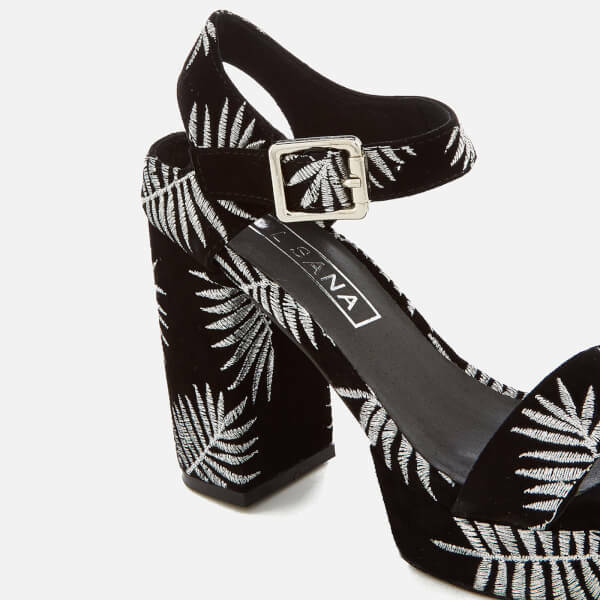 Women’s black suede heeled sandals from Australian footwear label, Sol Sana. 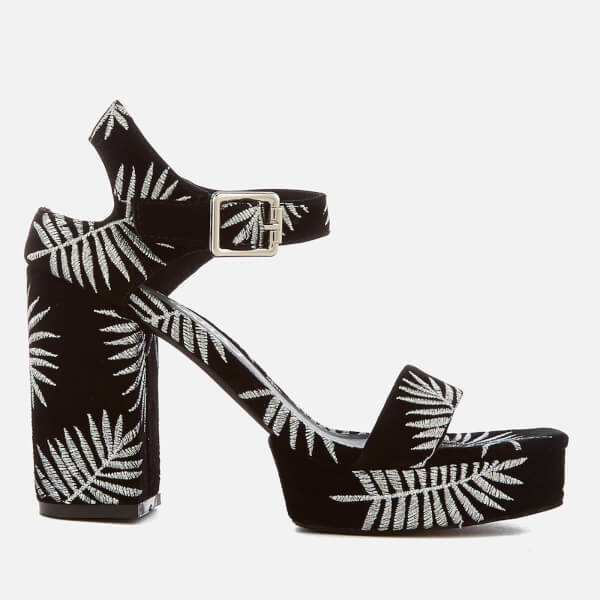 Crafted with smooth suede uppers and a squared toe, the ‘Cathy’ heels are detailed with contrasting palm embroidery and fastened with a buckle-adjustable ankle strap. 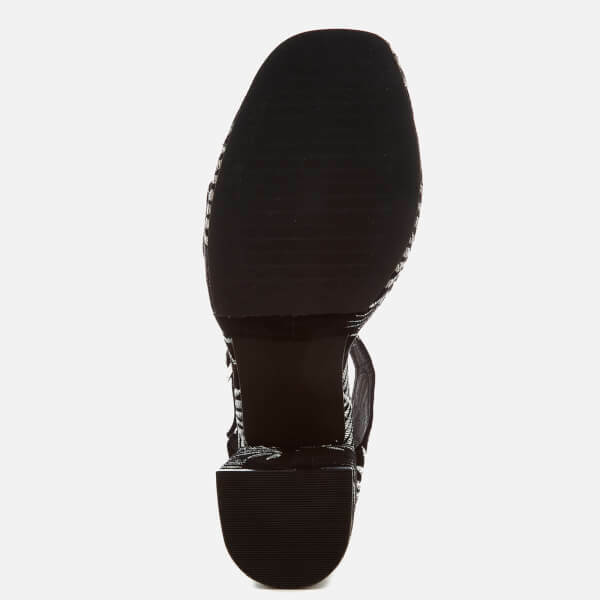 Complete with a covered, block heel and signature branding to the cushioned footbed.